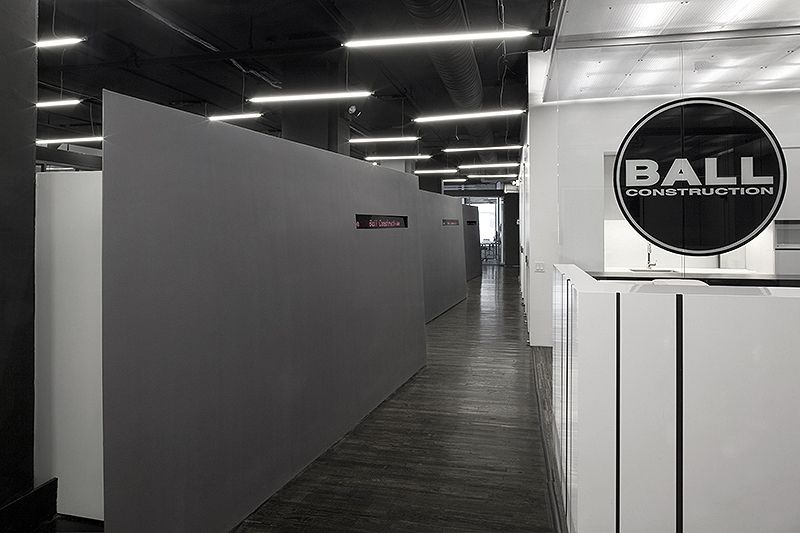 This office design was a relo­ca­tion and expan­sion of the pre­vious offices we com­pleted for Ball Con­struc­tion. Many of the mate­rial themes and effects from the first design were car­ried into the new space to pro­vide the com­pany with con­ti­nuity of image. The height of these walls pro­vides pri­vacy for the work areas located behind them. 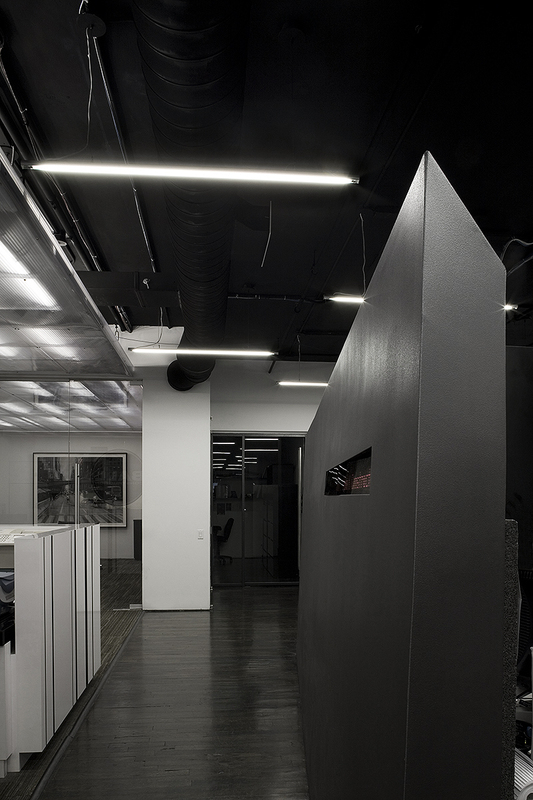 In the con­fer­ence room, the red of the LED is used as a color for one of its walls to dis­tin­guish it from larger office motif of dark colors. 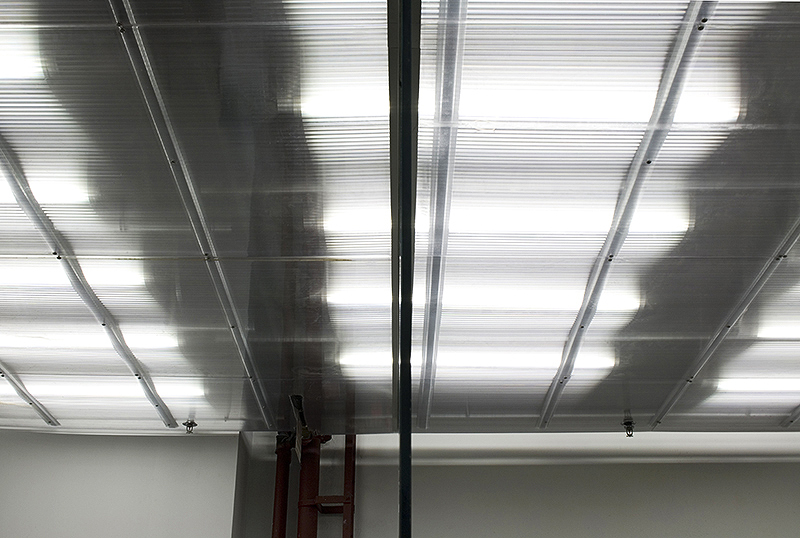 A large area of poly­car­bonate ceiling panels defines both the recep­tion and con­fer­ence areas. 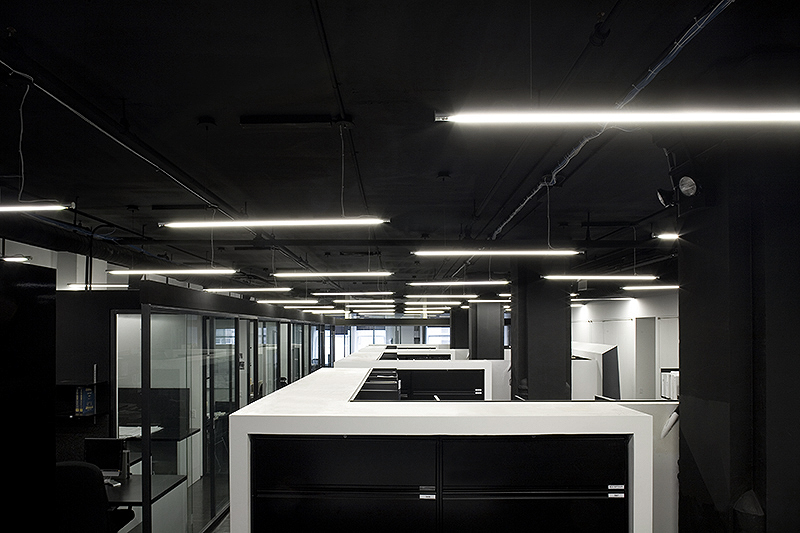 As with the first office, the sea of stag­gered lights helps to create an autonomous, expan­sive feeling above the many spa­tial floor divi­sions due to pro­gram. 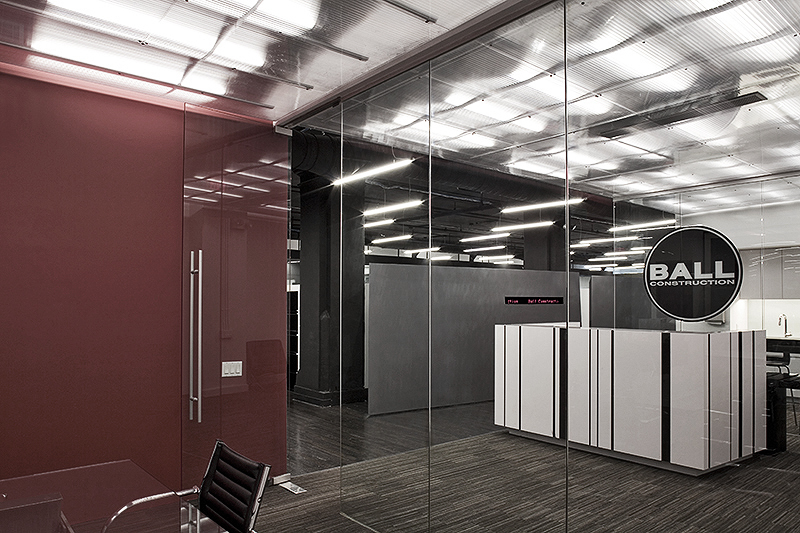 It pro­vides a counter, visual land­scape to the working landscape.